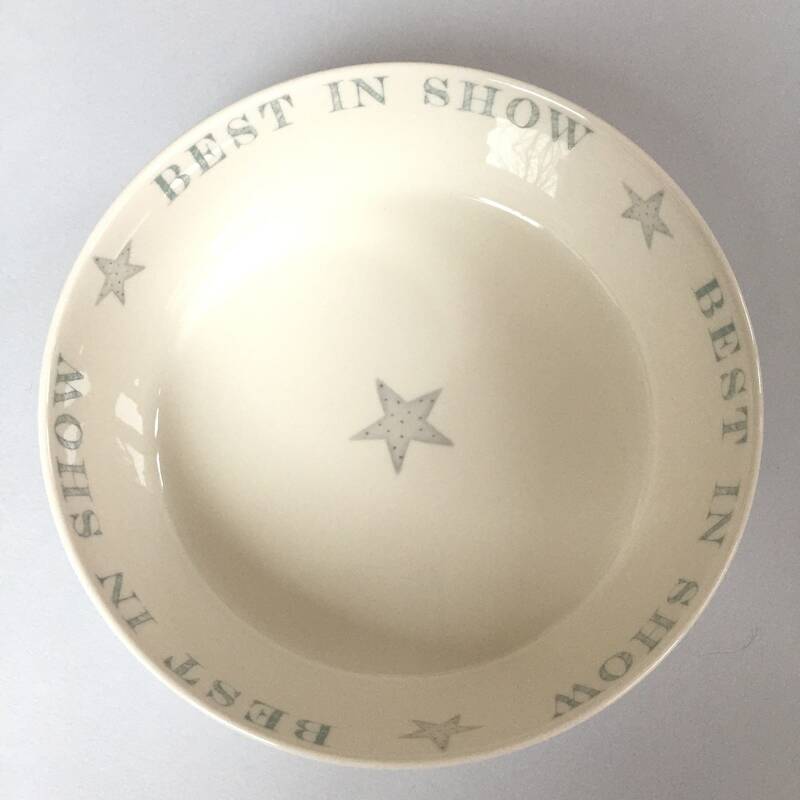 A beautiful bone china dog bowl hand decorated with the words 'Best in Show' and little blue stars. 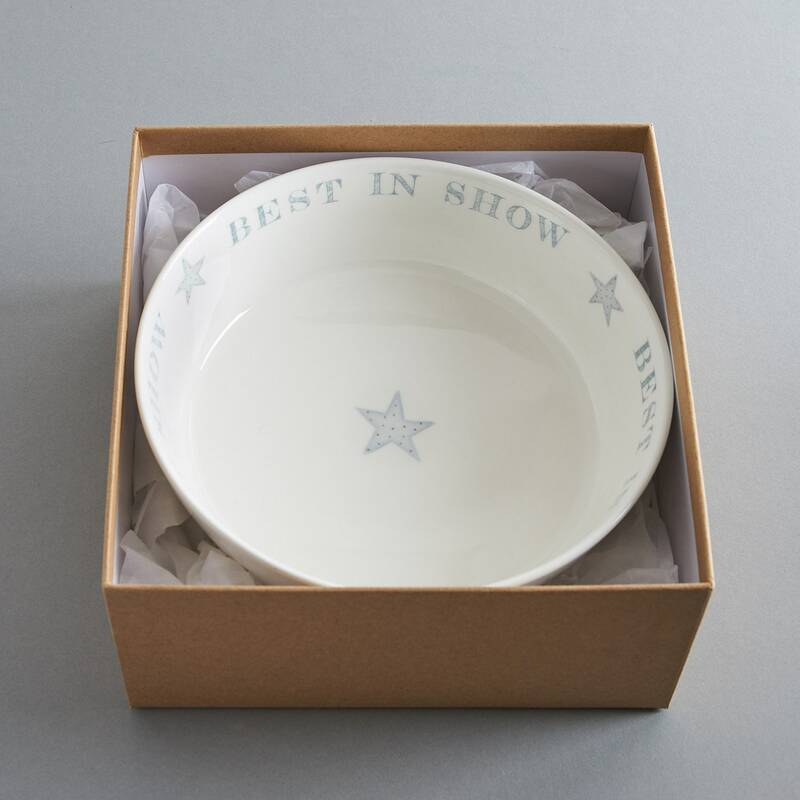 The bowl is a lovely creamy white and the words are in a soft blue/grey. 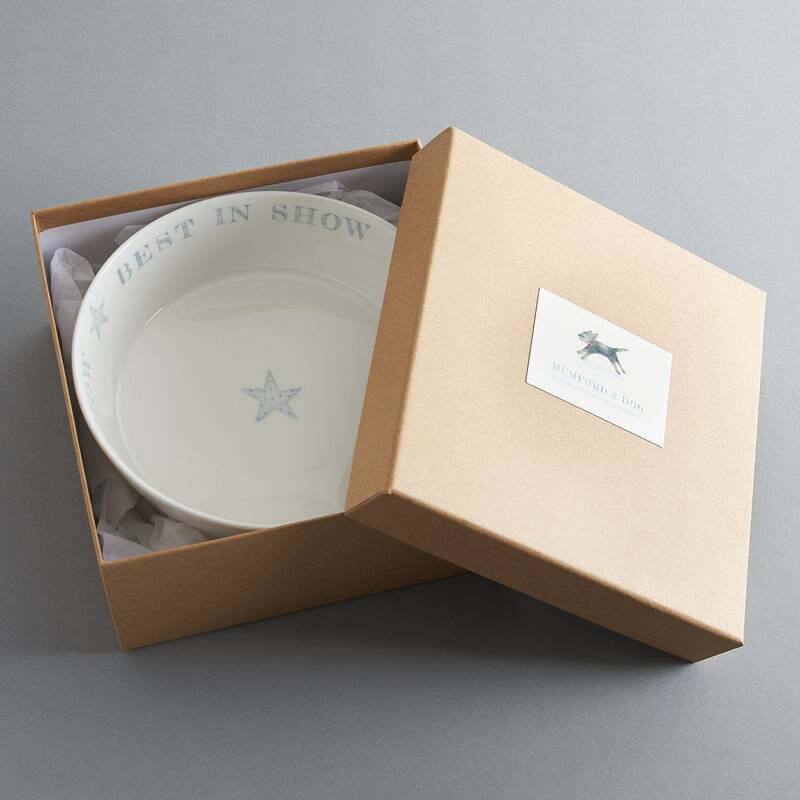 Perfect for the discerning dog owner with tasteful decor in the kitchen. 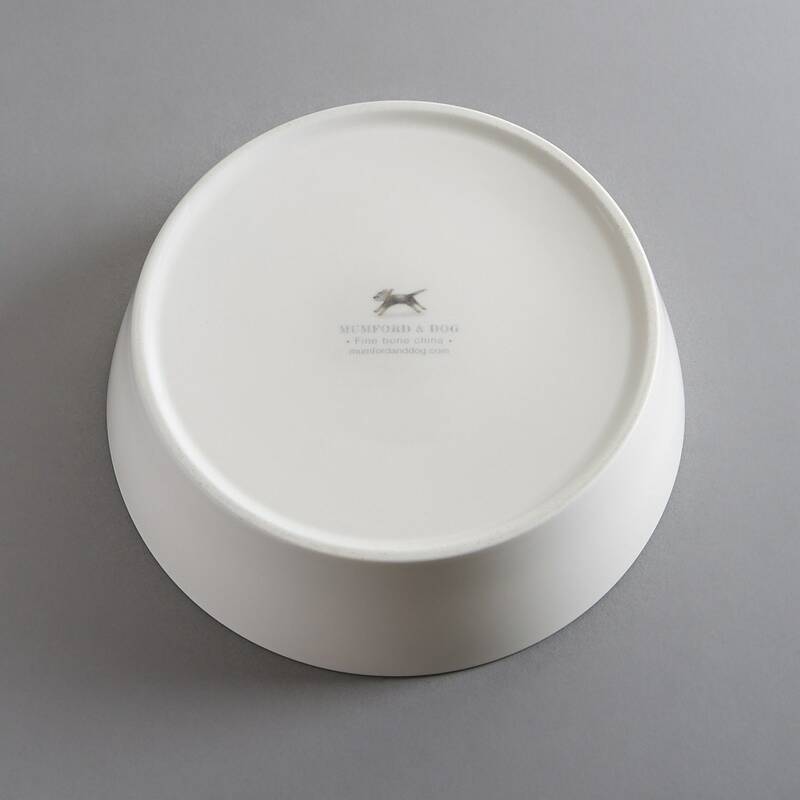 The main photograph is the most representative of colour. 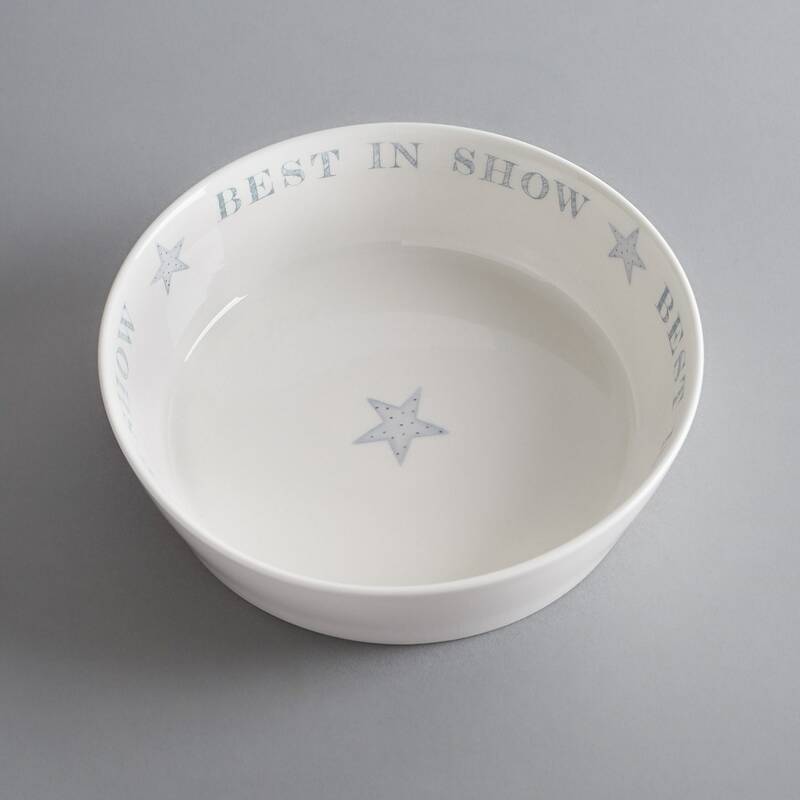 Ideal for matching food and water bowls.